Rostov was assigned as the objective to the 11th Army now commanded by General von Schobert, however he died in a crash on the same day after landing his liaison Fieseler Storch aircraft in a minefield. To replace him, General of Infantry von Manstein was ordered to travel from the Leningrad sector of the front to the extreme southern sector. He would also receive support from the 4th Luftwaffe Air Fleet. 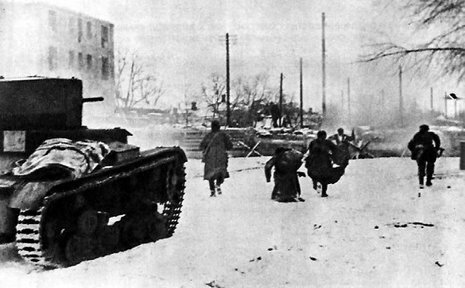 At this time the LIVth Army Corps of the 11th Army was still engaged in Crimea, and because the Romanian Armies were still engaged in the Siege of Odessa, the Army's resources for the Rostov objective were severely limited even against retreating Red Army troops. 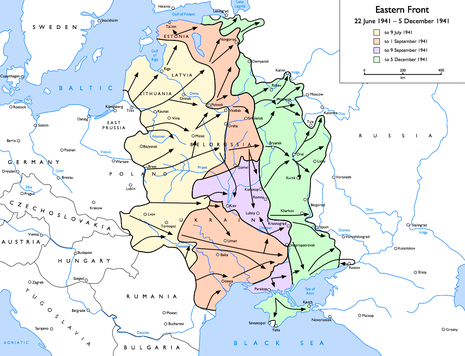 Therefore in the first instance von Manstein replaced the LIV Corps with the smaller XXXth Army Corps and XLIXth Mountain Corps, and ordered the LIV Corps into the first echelon in the advance to Rostov. Late in September the 3rd Romanian Army joined the 11th Army in its advance towards Rostov, but was severely depleted by the attacks of the Soviet 9th and 18th Armies on the 26th of September. This forced a halt to the Army's advance to safeguard its flank, and forced von Manstein to use his only mobile reserve unit, the Leibstandarte Brigade to shore up Romanian defenses. In World War II, especially in Europe, because of the full integration of air power, motorized units, and radio communication, "battles" come to denote much different events as opposed to the battles of previous wars. Rather, there were engagements of various sizes as a result of one or both sides conducting operations, the scope of which might encompass hundreds if not thousands of miles over the course of weeks or months. The Battle of Rostov is a good example.